Assumptions in prognosis will not be condoned at all in the health workforce, a ministry of health statement read. This is drawn from a long-running court case where a patient was wrongly diagnosed of having TB, and subsequently medicated, yet she did not have the disease. The doctor’s unprofessional conduct had exposed her to the toxicity of anti-TB drug, causing her to develop medical complication of suffering from eighth cranial nerve, making her ataxic and with severe loss of senses. Many of Kangemi TB patients have before been misdiagnosed of pneumonia, common cold and fever, when indeed they had TB, something that delays treatment. 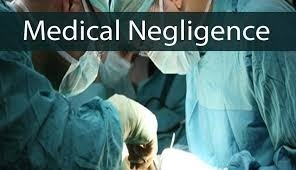 With the constitution leveraging heavy damages cost for such wrong procedures, professional medical negligence may as well be the costliest thing ever in Kenya, if proven. “Before any treatment can be initiated, there should be proper diagnosis to determine the cause and the nature of the disease. The health workers should adhere to all procedures and ensure that all necessary assumption and precautions before treatment initiation”, warned the Director of Medical services, Dr. Jackson Kioko. Given the irreversible nature of effects of medications made, it has become necessary to have only qualified medics handle diagnosis, and counterchecked in case of any doubt.